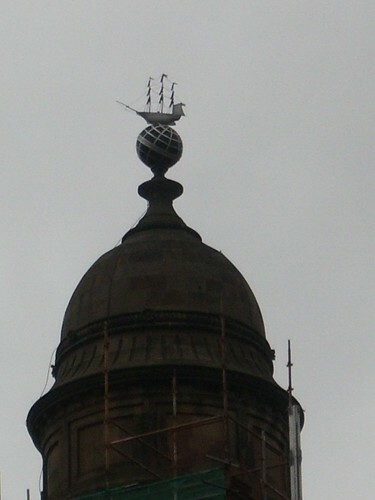 This can be seen on the west side of George Square (technically Queen Street), atop what was the city’s Chamber of Commerce building (originally built in 1874, but with the top two storeys added in 1907). I’m not sure if the building is still the Chamber of Commerce or if it is something else entirely, as pretty much that whole side of George Square has been covered in scaffolding for ages. The ship on the globe is a reminder of Glasgow’s seafaring heritage.